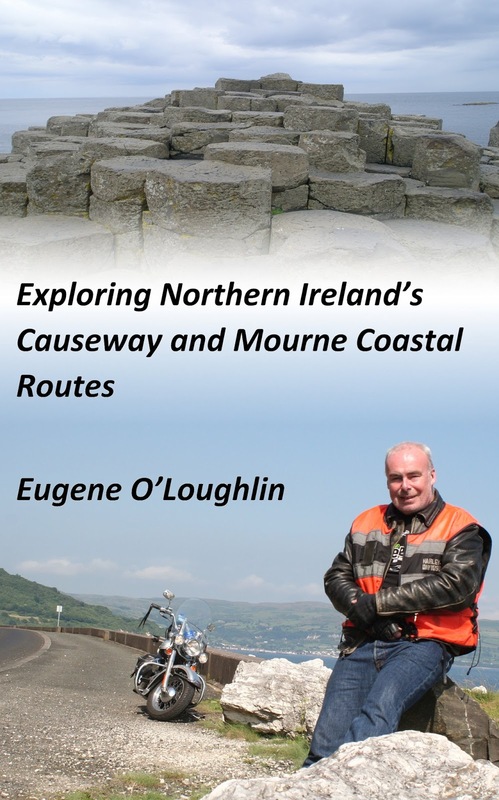 Careful With That Axe, Eugene: New Book: "Exploring Northern Ireland's Causeway and Mourne Coastal Routes"
New Book: "Exploring Northern Ireland's Causeway and Mourne Coastal Routes"
This morning I have published my third book! 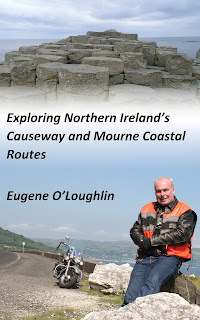 Following on from "Exploring Ireland's Wild Atlantic Way" (which is now out of print), I have written about the Causeway and Mourne coastal routes in Northern Ireland which I toured last year and revisited this summer. It has taken nearly a year to write (including several episodes of writer's block and laziness). Much of the time was taken in formatting photos and inserting them in a way that does not disrupt the flow of text. The book is self-published through CreateSpace, and the process of uploading and re-uploading files took quite some time. 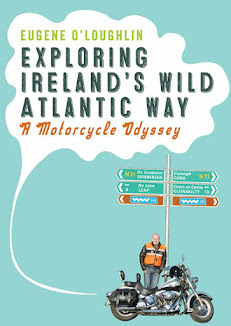 The book is short (113 pages) - the two routes are way shorter (500 kms) than the Wild Atlantic Way (2,500 kms), so inevitably there is less to write about. While I was reasonably familiar with the Co Down coast, before 2014 I had never been north of Belfast or east of Derry. For a bike ride - it doesn't get better than these two routes. The A2 road runs right along the coast for long stretches, and with sites like the Giant's Causeway, the Mussenden Temple, the Glens of Antrim, and the Mountains of Mourne - it is arguably as good as, if not better, than the Wild Atlantic Way. The WAW takes a long time (10 days for me), so the CCR and MCR are ideal for a shorter trip (3-5 days). The experience of self-publishing through Amazon's Createspace was interesting. First, there is no stress with trying to get a regular publisher interested - I did not submit this book to any publisher. No rejection letters! The quality of the printed proof I got was very good - I'm keeping it as my first copy. Createspace will print the book to order, but this makes it expensive. The minimum I could sell it for is $22.50, so I really don't expect to sell very many at this price for such a short book. At the moment, it is just available on the Createspace Bookstore, but it will be available on Amazon in 3-5 days. I can make it available as a Kindle book which I plan to do next week - this will mean that it can be a lot cheaper to buy. Both my WAW and CCR&MCR books cover exploring the Irish coast from Kinsale in Cork to Newry in Down. The coast from Newry to Kinsale around the Southeast coast is a natural follow on - and this is my next book project. Much of it is already written, though I may need some more photos.